1. Which of my keywords are being searched the most in Google? 2. Which keywords bring more/less engaged visitors? 3. How long are visitors staying on my website? 4. How many pages do visitors view while on my site? 5. What page do people stay on the longest? 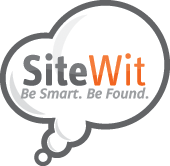 Here are a few of the examples above and where to find them in your SiteWit account. The keywords section of your Google Marketing Dashboard will let you know your top performing keywords. Here you see how many clicks you've received (people who clicked your ad on Google), the cost per click (CPC), and how engaged the visitors from that keyword are. You also see the total cost of that keyword combined, and if certain visitors are repeats, researchers, or fans*. The Engagement column (far right) uses 3 medals to depict a visitors level of engagement when they enter your site. A gold medal (1) is the highest level of engagement, meaning a visitor who searched that keyword in Google was more engaged in your site than others. A bronze medal (3) shows a user that was less engaged in your site than others. TIP: A combination of these stats can give you meaningful information. If a keyword has a lower engagement medal, and a higher CPC, it may be idea to pause that keyword. The visitors are not as engaged as they could be, and you're spending a little more for each click. If a keyword has a lot of clicks, a gold medal (1), and high top visitor numbers, then that may be a good area of focus for your business. Consider focusing that keyword on your landing page of your ads, or running promotions on the product/service that keyword revolves around. (NOTE: If a keyword has low stats, but you believe that is what people are searching, contact us, and we'll make it work). The Home dashboard shows a combination of your free, premium visitor analytics, as well as an overview of your purchased Campaigns. The Visits chart (example below) is a great way to see your traffic over a period of time. For example, you may notice a large number of phone calls on 3/18/2017 correlates to the spike of visits to your website. The Visitors table below the graph shows how many visitors have entered your website, their engagement level, and their average duration (how long they spend on the site). Scroll down a bit more on your Home dashboard, and you'll see a Landing Page section. A Landing Page is the page a visitor enters your website on. It has similar stats to the other tables such as visitor count, average duration, top visitors, and engagement. On average, you'd expect your home page to be the most visited landing page. However, often times you may find a page such as the About Page, which has a higher engagement level, and more top visitors. TIP: Similar to the keywords, try combining different stats to make observations. A landing page with a high average duration, high visitor count, and high engagement could point out a valuable opportunity. That page may have information visitors look back to often (repeats and researchers), and could be an opportune spot for Call to Actions (ex: Buy now!, Contact Us Today!, Schedule Now!). Doesn´t tell how do I reach the anylytics part at all????? ?